We purchased our new home from Lynda Brooks in July and couldn’t be happier. She found the perfect home in the perfect location for us. She made the process so easy and smooth. The knowledge and professionalism of L Brooks Real Estate is by far the best. For a stress-free and pleasant buying experience, contact Lynda Brooks. Ms.Lynda Brooks was my real estate agent that listed and sold my property located at 260 Allen Ray Lane early in 2012. Her knowledge and expertise in real estate is amazing, not mention the personable touch she added to the transaction. I would highly recommend her to anyone needing an agent for their real estate needs. We have been looking for a house on the lake for some time. A beautiful lake house came on the market and we immediately contacted Susan Anderson to set up an appointment to see it. We couldn't have asked for a better agent. Susan was knowledgeable, understanding, friendly, helpful and a joy to do business with. From the first time we met until the closing day she was incredibly professional. The entire process was easy and smooth, all of which Susan is responsible for. It's so nice to work with such genuinely kind and friendly people. I have only praise for everyone in the office. The Lynda Brooks Real Estate office treated us like family. I would recommend them to anyone looking for a real estate company. Susan, thank you for everything! Lynda, great job on your selection of agents! 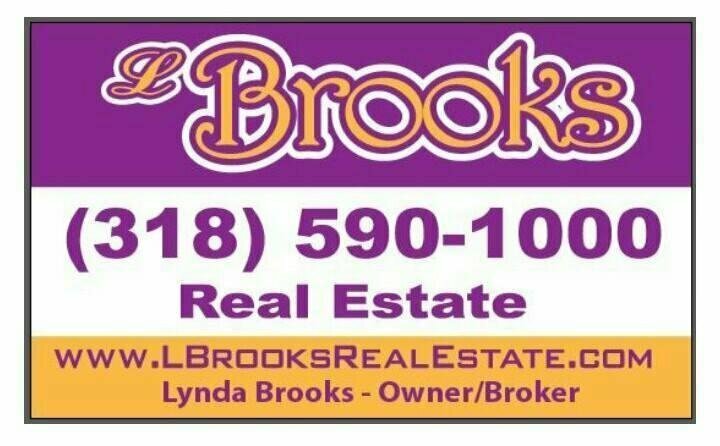 I would like to commend Lynda Brooks, she has displayed the loyality and professionalism found only in truly motivated Real Estate Agents. She is an Individual who has the ability to work with people in an outstanding manner. This ability is due largely to her self-confidence, which stems from Her broad knowledge and outstanding skill in the Real Estate field. We placed our home with Brooks Real Estate thinking that it would take a few months to sell but much to our surprise the home sold in 8 days! Lynda put in many hours to insure a smooth transition from contract to closing. My hat is off to this fine company and I would recommend Lynda Brooks to everyone! I wanted to say thanks for the outstanding job you did on the sale of our home. I knew going into the process that it would not be easy, but you were fabulous. You worked very hard, kept us well informed, and went out of your way to help us in any way you could. You listened in detail about the house we were looking for and helped us in the process of buying our beautiful new home. We appreciate everything and will gladly recommend you to other potential clients! My wife and I have owned a Lake House on Toledo Bend for the past 8 years. We chose Toledo Bend for our retirement because of the great sun-sets. 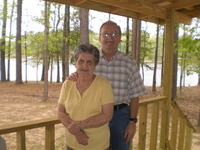 If you are looking for a retirement home on Toledo Bend Lake call Lynda. We did. 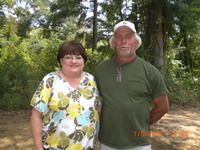 My Wife and I called Lynda, eight Months ago looking for a retirement home on Toledo Bend. Two weeks later we were the proud owners of a lake house. We love the quietness and can fish from the pier, or put the boat in the water from the boat house. We love the coolness of the mornings and also the sun – sets. LYNDA REPRESENTED US IN THE SELL OF STEVIE'S PARENTS' HOUSE. SHE UNDERSTOOD FROM THE BEGINNING AND THROUGHOUT THE PROCESS THAT WE WERE NOT JUST SELLING A HOUSE, BUT A HOME. AS SHE KEPT US INFORMED OF LEGALITIES AND POTENTIAL BUYERS, SHE REMAINED COMPASSIONATE AND SENSITIVE TO THE DIFFICULTY WE AS A FAMILY EXPERIENCED IN LETTING GO. WE WERE THANKFUL FOR LYNDA'S PRESENCE THROUGHOUT THIS JOURNEY AND WERE GRATEFUL TO TURN THE HOUSE OVER TO A FAMILY INTENDING TO MAKE IT A HOME ONCE AGAIN.